Gloucester have announced the signing of Jason Woodward from Bristol as the club's preparations for 2017/18 continue to move forward. Woodward, who was a shining light in Bristol's 2016/17 campaign, is no stranger to the area, having starred at Hartpury College whilst studying there, appearing in the same College side as new team-mate Henry Trinder. The hugely talented back was part of the 2010 IRB Junior World Championship winning New Zealand U20s side that lifted the title in Argentina after an undefeated campaign. Woodward then featured for his home side, the Wellington Lions in the ITM Cup, and his form in the competition saw him picked up to cross the Tasman Sea to represent the Melbourne Rebels for his first taste of Super Rugby action. His form in Rebels colours saw him return to Wellington, and star for his home franchise, the Hurricanes, at the Westpac Stadium. In the 2016 season, Woodward was a key part of the star studded back line that lifted the Super Rugby title. Woodward started on the wing for the 'Canes, as they beat the Lions by 20 points to 3 in Wellington to lift their first title. He then spent the majority of the 2016/17 season in the Aviva Premiership after agreeing a switch to Bristol. The full-back's arrival ignited an upturn in form at Ashton Gate, and the Cherry and Whites have moved swiftly to secure the signature of a top-class player once it became known that he was available. Gloucester Rugby's Director of Rugby David Humphreys is thrilled to have brought in the versatile player who arrives in the prime of his career. "Jason is a player who we have been aware of for some time now, even before he played against us this season, and we are delighted to have agreed a deal to bring him to the club. "We speak about wanting to have a number of quality players in every position, and Jason's arrival gives us some great selection options at a number of positions. 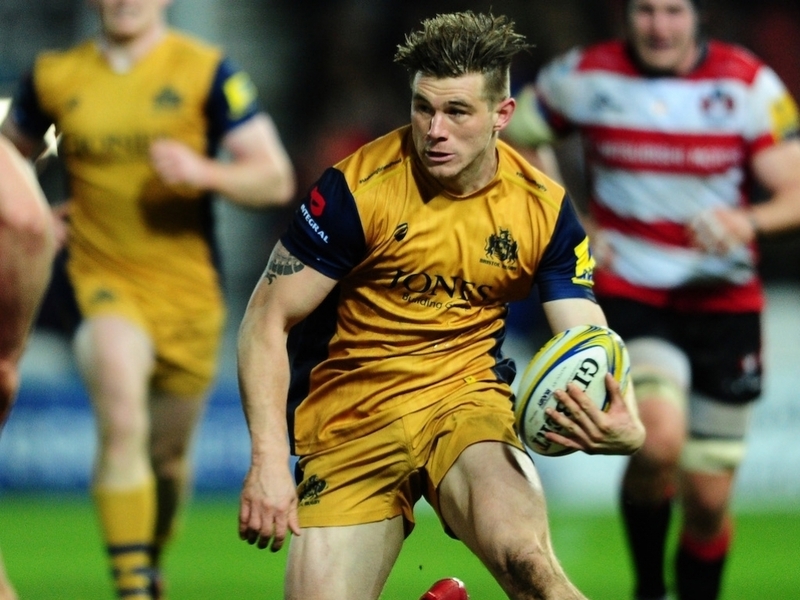 "Jason has been a stand out player for Bristol since his move to Europe in November, he now knows exactly what the Aviva Premiership is all about and can hit the ground running when he arrives for preseason training. "It also helps that he knows the area well, and has many friends in our squad from his brief time at Hartpury College during the formative years of his career which will help him to settle in quickly."